HOUSTON, TX--(Marketwired - Sep 24, 2015) - Aldridge (www.aldridge.com), a leading provider of information technology (IT) outsourcing with elite first-response support, continues its rapid growth, surpassing the $15 million milestone for annual revenue and earning a spot among America's fastest growing private companies for the sixth year in a row. 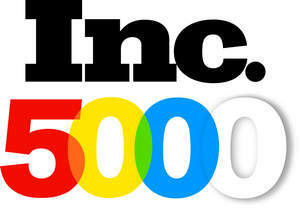 Aldridge is ranked at number 1,617 on the Inc. 500/5000 list, which ranks companies with the highest percentage growth in revenue over the past three years. Since it began executing an aggressive growth strategy in 2009, which has included organic growth and numerous acquisitions, Aldridge has become a preferred IT services partner for growing companies throughout Texas. Its process-driven approach to delivering exceptional client service, paired with a proven ability to successfully integrate acquired businesses, have contributed to a 26X increase in revenues from 2007 ($550,000) through 2014 ($15.1 million). "Our growth has coincided with a new realization among business decision-makers. As their IT systems become more complex, whether in the cloud or in their offices, they can't afford to maintain the depth and breadth of technical expertise they need in-house," said Aldridge President and COO Patrick Wiley. "By taking IT off their plate, Aldridge's IT experts help clients control costs, maximize flexibility, reduce risk and improve efficiencies." This year's list measures revenue growth from 2011 through 2014. Aldridge reported 251 percent growth during the period, growing from $3.1 million to $15.1 million. This ranked Aldridge 38th among companies in the Houston metro area and 143rd in Texas. Aldridge was ranked 1,685 in 2014, 1,101 in 2013, 1,821st in 2012, 1,605th in 2011 and 1,067th in 2010. Aldridge continues to seek opportunities to grow through acquisitions. Earlier this year, Aldridge strengthened its presence in the Dallas/Fort Worth market by acquiring TWIST Solutions, a managed services provider for small and medium-sized enterprises (SMEs). In April, subsidiary Aldridge Health, which serves medical and dental practices, completed an agreement to migrate Pact-One's clients in Washington, Oregon, Texas and Oklahoma to Aldridge Health. Managed Services - Aldridge identifies client needs and provides solutions that maximize efficiency and budget. Professional Services - Aldridge offers a comprehensive a la carte menu of IT professional services that enables clients to design their own no-excuse, 24/7 technical support. Cloud Hosting Services - Aldridge can build and manage all or a portion of a client's IT environment, providing the power, capability, and reliability today's growing companies demand and deserve. Aldridge is a technology management, consulting, and outsourcing company that specializes in providing best-fit IT and cloud computing solutions to SMBs that are growing. Founded in 1984, Aldridge has offices in Houston, Dallas and Austin. The company's unwavering dedication, superior technical expertise, and keen understanding of business processes have transformed it into a trusted partner of clients across the nation. In 2015, Inc. magazine ranked Aldridge among the fastest-growing private companies in America for the sixth consecutive year. Aldridge has earned a spot among America’s fastest growing private companies for the sixth year in a row.